Opal Olive Krueger — Fraker Funeral Home, Inc.
Opal Olive Krueger, daughter of Arthur G. and Anna A. (Boelter) Krueger, was born December 29, 1918, at Jelle, Minnesota. She passed away September 18, 2017 at Webco Manor at the age of 98 years, 8 months, and 20 days. Opal was baptized in the Lutheran Faith and confirmed in Brooks, Minnesota on November 17, 1935. 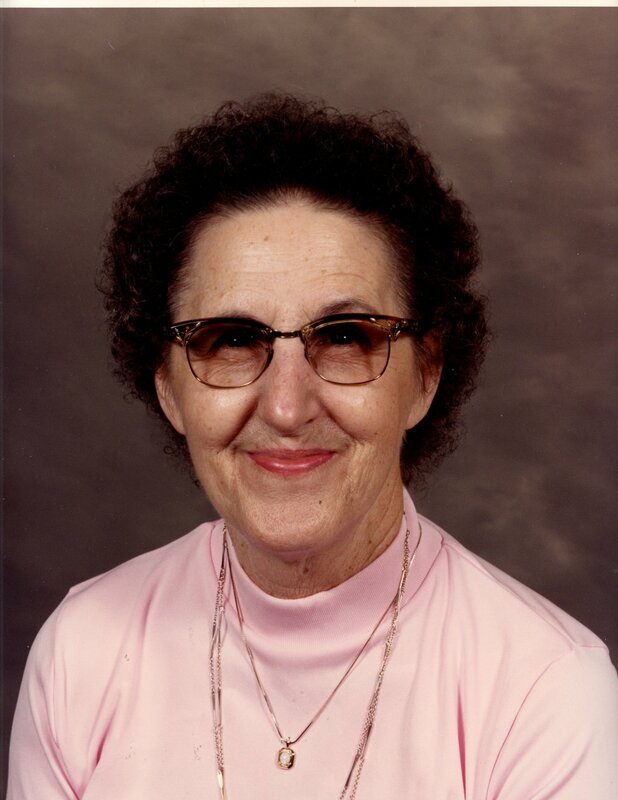 Opal grew up in Minnesota and graduated from New London High School in 1937. Later in 1937, she moved with her family to Marshfield. In 1943, she went to work in Milwaukee for Cutler-Hammer during World War II. She returned to Marshfield in 1946 and attended Draughn Business College. From 1950-1959 she worked for Powell Truck Line. In 1959, Powell Truck Line sold to the Time Truck Line of Lubbock, TX where she continued to work for several years. She then went to work for Reese Air Force Base until 1967. She transferred to St. Louis with Trascom, a government agency from which she retired. She and her sister, Bernita, returned to Marshfield in 2000. She was a member of St. Paul’s Lutheran Church. She was preceded in death by her parents; two sisters, Florence Moore and Bernita Krueger; one brother, August (Bud) Krueger; and great-nephew, Kelby. She is survived by one brother, Donald and wife Cleo, of Marshfield; a niece Rochelle Hicks and husband Ron, and their daughter Courtlin of Reedsville, WV; a nephew, Doldon Moore and his wife, Kathy, and their two sons, Nathan and wife Enita and their son Daniel Mattias, and Chad of Owings, MD. Funeral services will be held at 10:00 a.m. Thursday, September 21, 2017, at St. Paul’s Lutheran Church, Marshfield, under the direction of Fraker Funeral Home, Inc. Interment will be in Marshfield Cemetery.